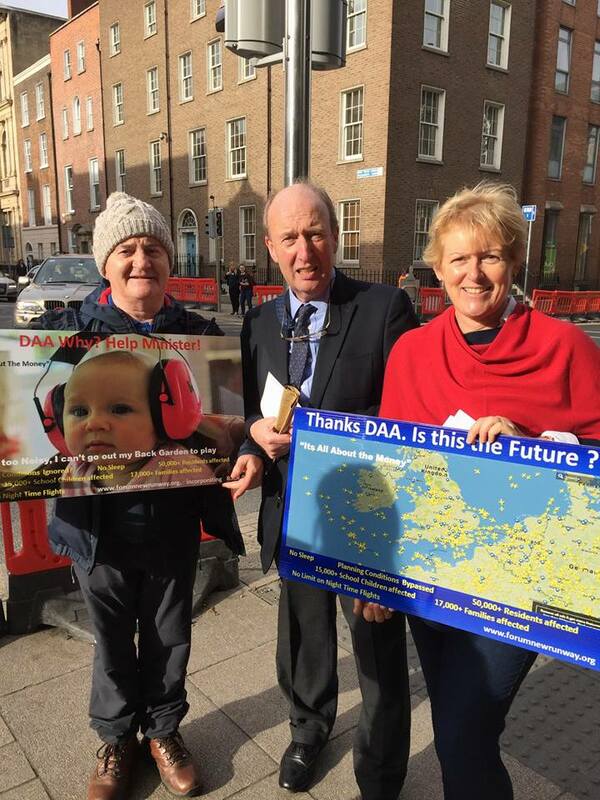 Aircraft Noise (Dublin Airport) Regulations Bill 2018 – Why is Shane Ross trying to appoint Fingal CC (A local Council) as the competent Noise Authority instead of appointing the function to an independent National Body as other EU States do? Shane Ross is currently enacting EU Regulation 598/14 (Balanced Approach to Noise at EU airports) into Irish Law through an Irish act called Aircraft Noise (Dublin Airport) Regulations Bill 2018 which is currently at Committee stage discussion in the Dail. The EU regulation requires an Independent Competent Noise Regulator to be appointed and Minister Ross proposes that Fingal County Council are the best body for this purpose. Most opposition TD’s and Fingal Organised Residents united Movement ( FORUM) recommend that the Commission for Aviation Regulation ( CAR) is appointed as the Competent Noise Regulator . Minister Ross has already put in motion the process to divide up the Irish Aviation Authority regulatory function and place it alongside CAR. It would make a lot of sense to have the New Competent Noise Regulator’s function placed under the same roof as CAR ( who set maximum landing charges at Dublin Airport ) and the regulatory part of the IAA who are to be transferred and will work alongside CAR . Many of the other EU countries have designated the equivalent of the IAA and National Government Departments as the competent Noise Regulators when they enacted Regulation 598/14. FORUM believes that appointing Fingal County Council as the competent Noise Authority is wrong. Fingal County council get between 8 & 20% of their rateable income from the DAA and cannot therefore meet the criteria of independence as required by EU Regulation 598/2014. FORUM is an Umbrella group representing Local Community Groups and Resident Associations concerns over the expansion of Dublin Airport and in particular the retention of 2007 planning conditions 3 & 5 which come into force when the new runway is built . FORUM WILL BE THERE LETTING FINGAL CC KNOW WE NEED TO BE INVOLVED IN THE NOISE PLANNING PROCESS AND WE ARE NOT GOING TO BE A BY STANDER ! WAKE UP OR BE WOKEN UP ! Please also Sign our petition to the Irish Aviation Authority and Minister Shane Ross and forward link to all your friends and contacts! 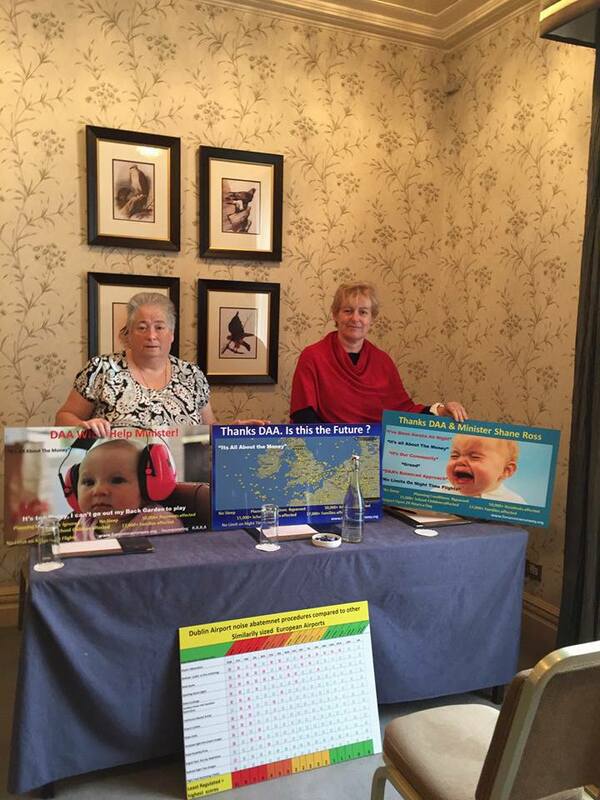 Stop night time noise at Dublin Airport- say No to changing 2007 planning conditions! Join FORUM today ......Protest against removal of conditions 3 and 5 of the 2007 runway planning permission. which limits the no of night time flights to 65 ............otherwise your quality of life and sleep will be gone ... forever ... Wake up or be woken up.....its your choice.........your community ....Act now before its too late ! 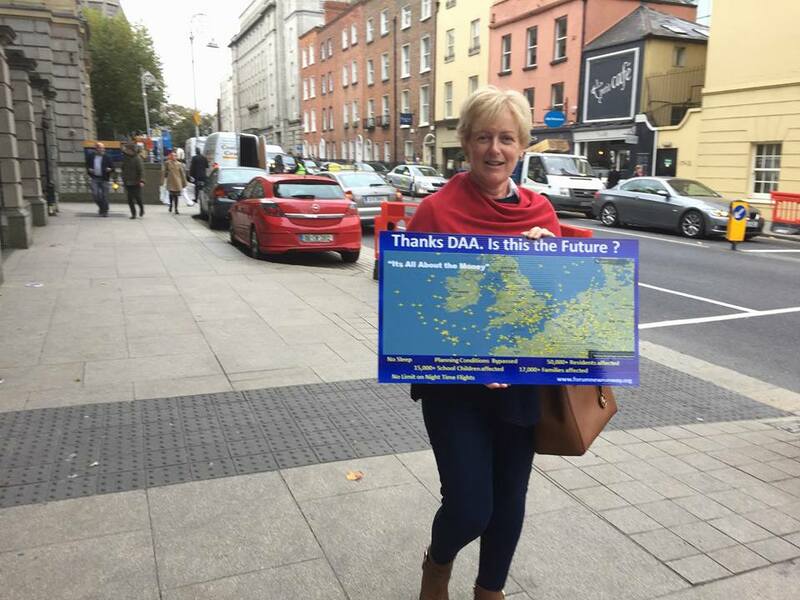 Some members of FORUM staged a protest outside the Dail today to raise awareness of FORUM with TD and Ministers . 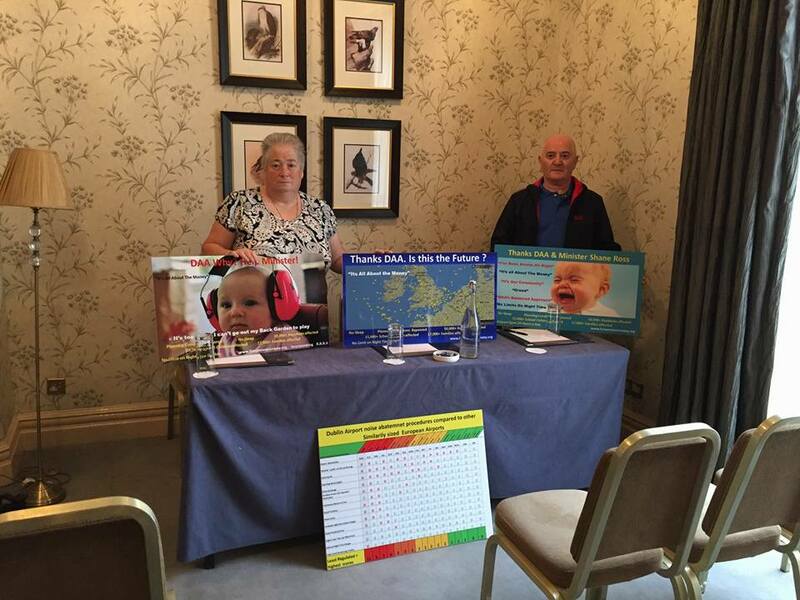 The DAA were giving a presentation to TD 's in Buswells hotel so it was a good time for FORUM members to raise issues . Representing Local Communities and Residents Associations Interests with regard to Dublin Airport Developments and the New Runway !